As any enthusiastic crafter knows, we can't throw anything away and our craft stash is practically bursting at the seams! If anybody knows about being buried alive in buttons, bling, bits and bobs all tied in a pretty bow its us! Well, here we are sharing some ideas to help you use up your ribbon scraps, check out these cute Christmas cards crafted by the JosyRose team. We simply rifled through (some) of our scraps and off cuts, separating them into bundles of festive complimentary colours. With our red and green pile of ribbons, cards, bows, trims and stray buttons we made these, we hope you like them. Simply cut some card into a large triangle. Fold it in half again and let it fall open. Now cut and tape your chosen ribbon off cuts horizontally across the opening. Overlay another piece of card on the outside (we chose to use a contrasting colour to the inside), and sandwich the raw edges of your ribbons etc neatly underneath. 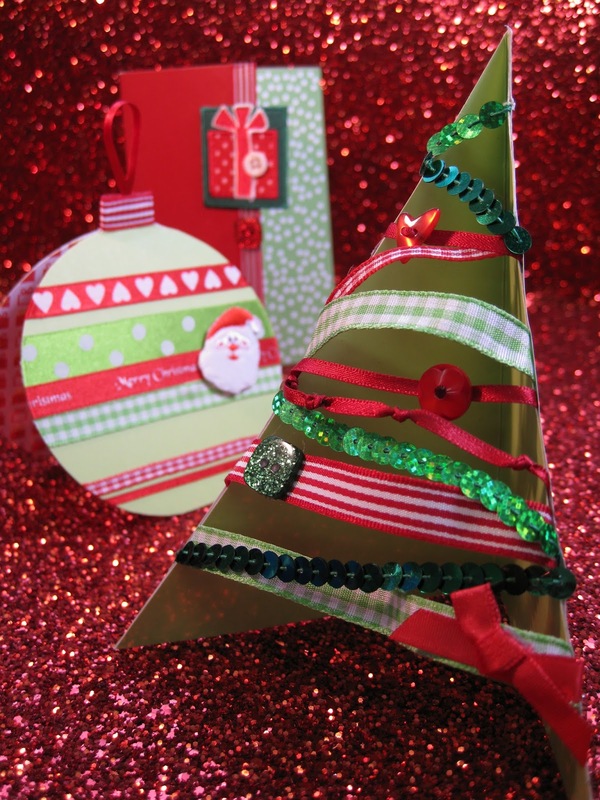 Finish off with any spare buttons, sequins or bows to 'decorate' the ribbons branches. 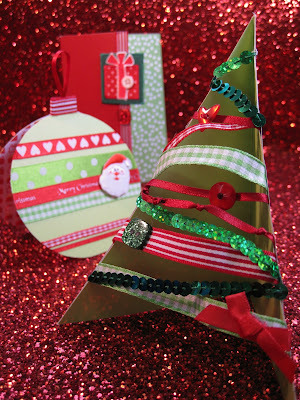 Here we created this simple bauble shaped card which would also make a very fancy festive tag too! 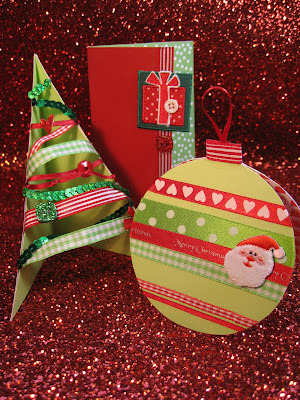 Simply draw around a cup or small plate, depending on the size of your scrap card, leaving a small wide oblong on top to attach them together. Cut it out twice, using the first piece as a template for the second piece. Horizontally attach some ribbons to the front using double sided tape. 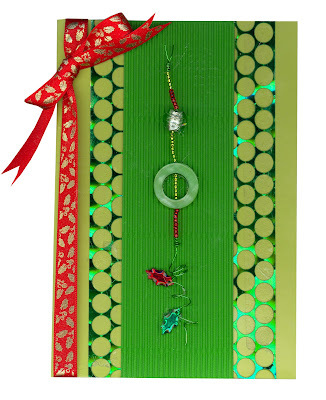 To make the hanging loop, sandwich a piece of ribbon between both pieces of card and glue the card together at the oblong point. The combinations and creativity is endless. Just have fun!